What’s good for your lungs may increase your risk for type 2 diabetes.That’s the gist of two recent studies suggesting asthma inhalers and smoking cessation increase the risk of developing diabetes. 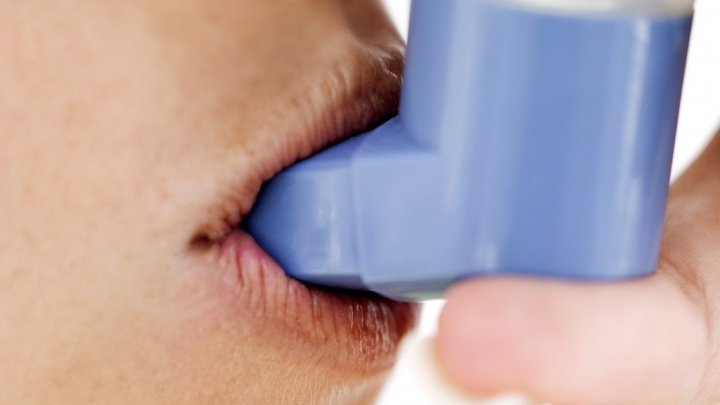 According to research from the Centre for Clinical Epidemiology at the Lady Davis Institute for Medical Research of the Jewish General Hospital, patients who use inhaled corticosteroids, most often prescribed for asthma and chronic obstructive pulmonary disease (COPD), are at a greater risk of developing type 2 diabetes, a chronic (lifelong) illness. For asthmatics, however, the benefits of inhaled corticosteroids outweigh the risks. Types of these medications include fluticasone (Flonase®, Advair®), budesonide (Pulmicort®, Rhinocort®) and beclometasone (QVAR®, Beclovent®). Oral corticosteroids have long been associated with diabetes risk, but this is the first time inhaled forms have been associated with the disease. may also increase risk of diabetes in the short term. Researchers at Johns Hopkins suspect the risk is related to the extra weight former smokers tend to pack on following their successful stab at quitting. Another culprit in the risk for type 2 diabetes (the most common form of diabetes) is one most can relate to. Who doesn’t enjoy an ice-cold Coca-Cola or Dr. Pepper on occasion? Recent research from the Harvard School of Public Health (HSPH) points to increased diabetes risk connected to sodas and other drinks with high sugar content. “Our study, which is a pooled analysis of the [previously] available studies, provides an overall picture of the magnitude of risk and the consistency of the evidence,” said lead author Vasanti Malik of the link between sugary drinks to type 2 diabetes and metabolic syndrome, a group of risk factors (high blood pressure, excess body fat around the waist and others) that increase risk of other diseases. Diabetes – the seventh leading cause of death in the United States – occurs when the body cannot properly process and absorb blood sugar (glucose) from the circulation into the body's tissues. The usual suspects play the biggest role in the risk of developing diabetes. Advanced age, infrequent physical activity, poor diet and excess body weight around the waist significantly increase your risk. But as a precautionary measure, stay away from those convenience store Big Gulps, too (especially if you’ve just quit smoking!). So Is Being Overweight Bad, or Not?